It would not be Christmas at our home without these vintage Santa mugs. I started collecting them years ago and this is small sampling of the collection, however, as cute as they are they are never used for food. Therefore, I have purchased brand new vintage style mugs for that very purpose and you can see my picks at the end of this post. If you have been following my blog then you already know that I LOVE vintage and DIY. 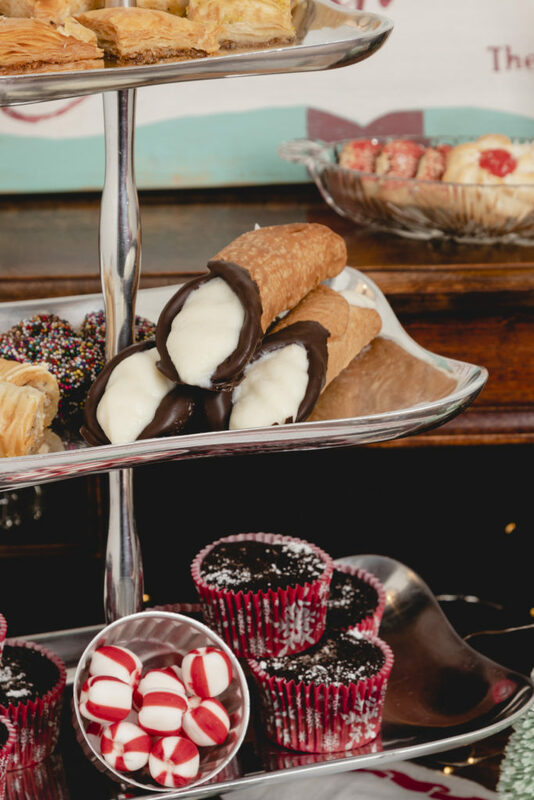 This dessert station is a combination of old, new and DIY. 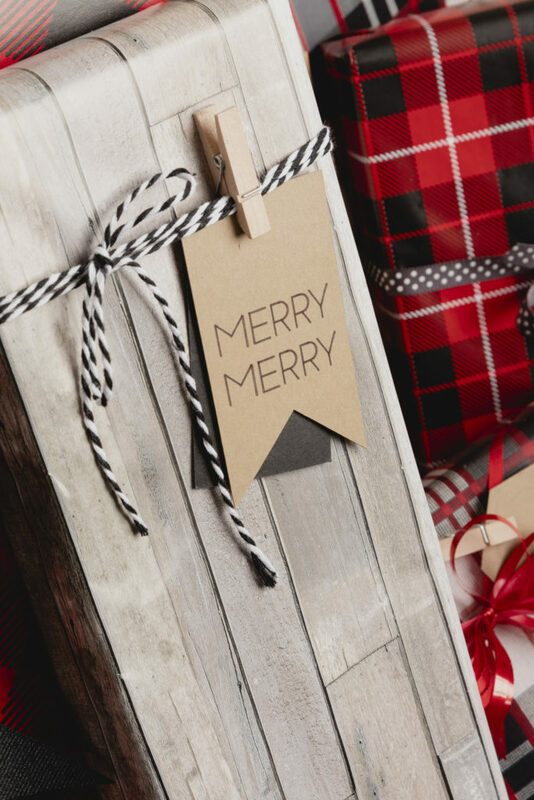 The rustic Christmas sign is my favorite sign and you can download the pattern HERE and make one too. I have added at “The O’Hern’s” to mine, but you can leave off that part and it looks wonderful. The vintage secretary is a tucked away in a niche where I added shelves above it. 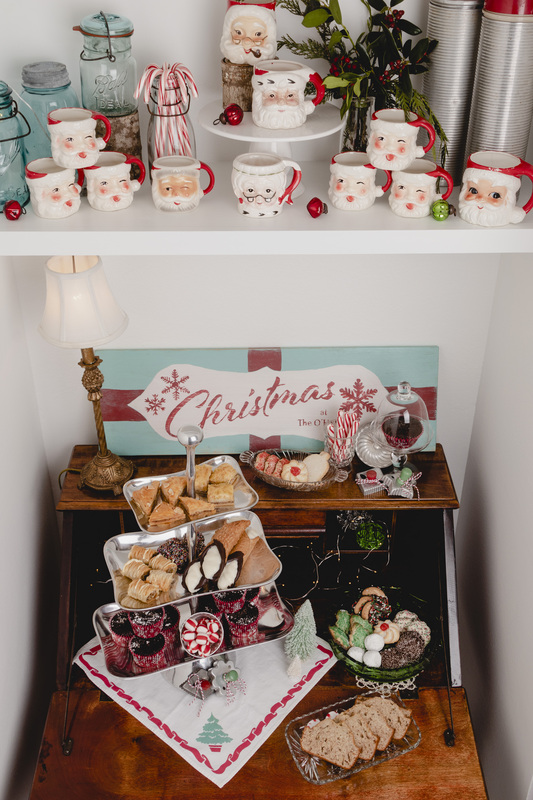 This makes for the perfect place for this cozy display and, of course, a sweet station. 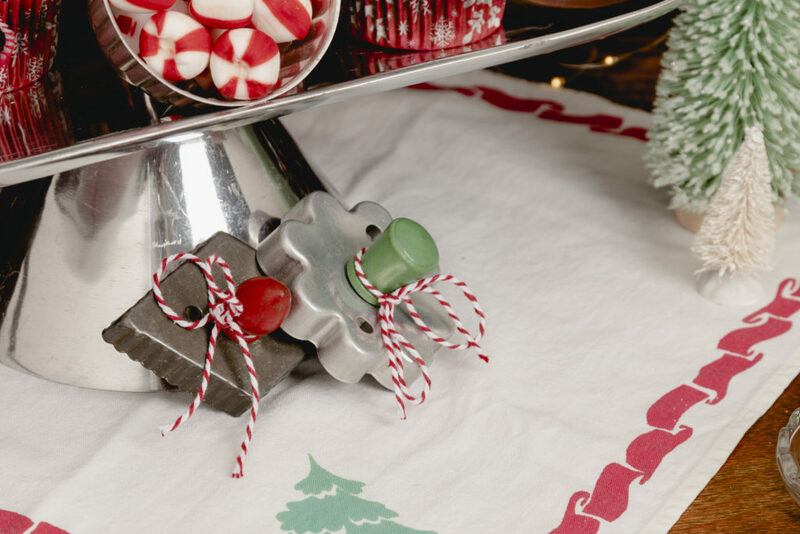 Vintage Christmas napkin and vintage cookie cutters are a nod to the past. Glass serving pieces are also vintage. I like to use vintage jello molds as fun decor during the holidays. 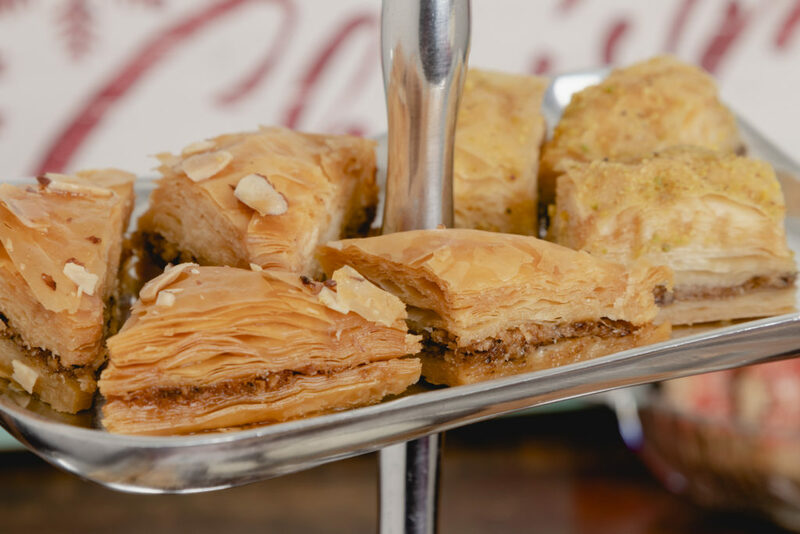 I will attach my super easy Baklava recipe in the download so you can delight your guests with this heavenly recipe. These triple chocolate cup cakes are the best I have ever had. It is my Mother’s recipe from long ago. If you have company coming and need a scrumptious dessert in a flash this is it. Find this recipe in my post about the She Shed HERE. With just a few items added this bedroom is ready for your holiday guests. 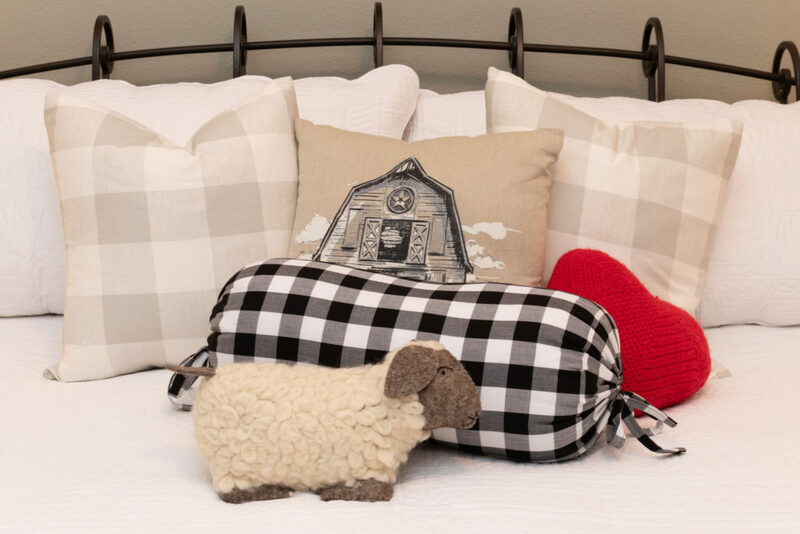 I made the two gray checked pillows and the black check pillow and added the black and white buffalo check bunting. No room is complete without a boxwood wreath, for this reason I added one with a red ribbon. I adore gift wrapping since it is like child’s play with all the choices available and no rules. This year I chose black, red, white and tan for the color scheme. 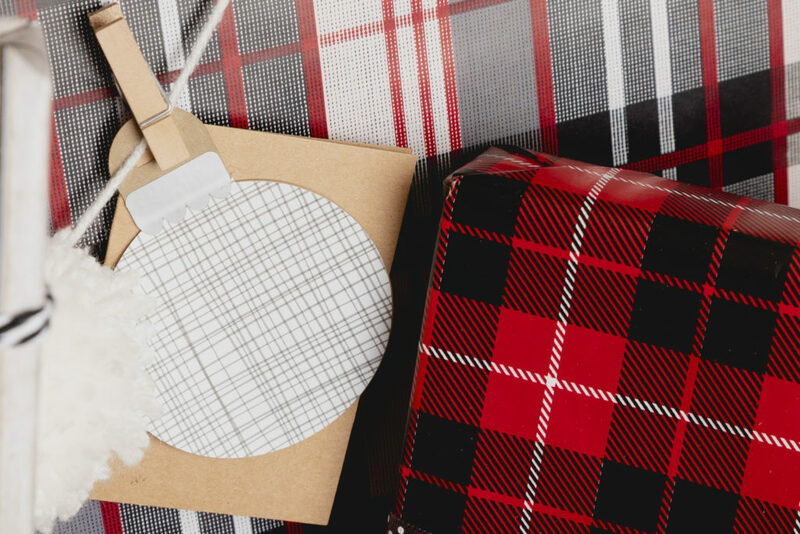 I designed tags for each gift and those designs you can find in the download too. I used the Circut Maker to craft them. It was super simple and the Circut did all the work. 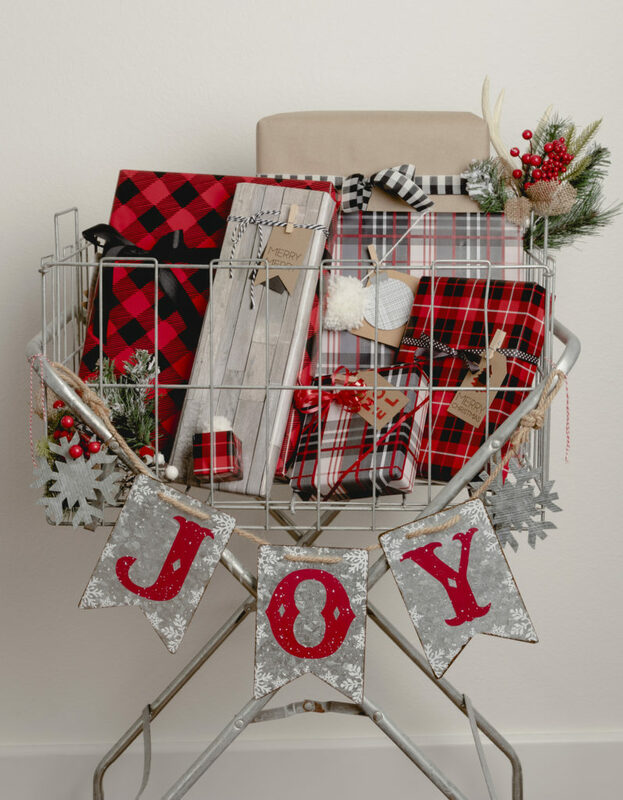 I used a vintage rolling basket to hold some of the gifts to add a little fun to our holiday decor. 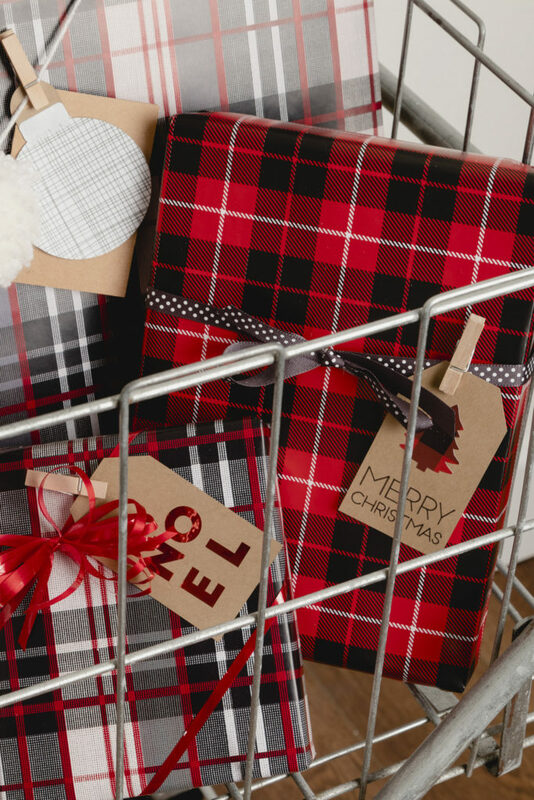 I try to wrap every gift different, so I made these tags to coordinate with this year’s theme. My custom tags are available for download from the form below. Plaids are a celebration of our Scottish heritage. 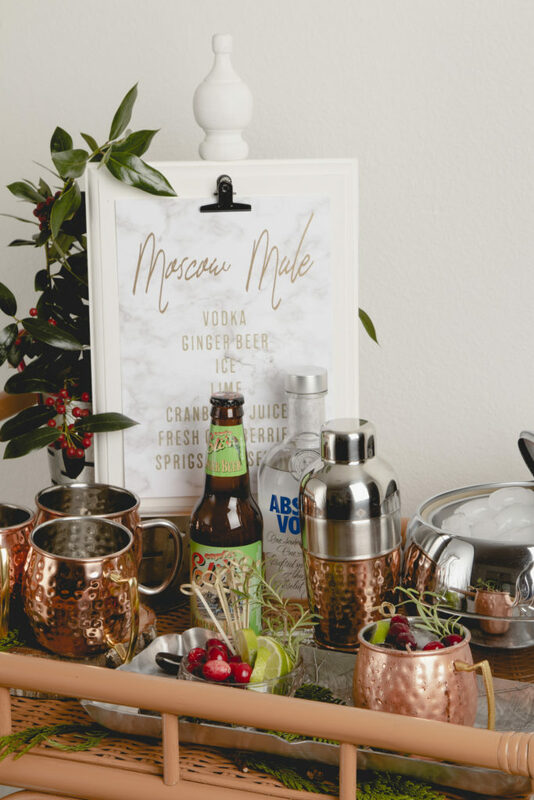 Making Moscow Mules in the middle of the day for the photo shoot was so much fun I could not wait to share the photos with you. The pretty printable on the message board is available as a download. 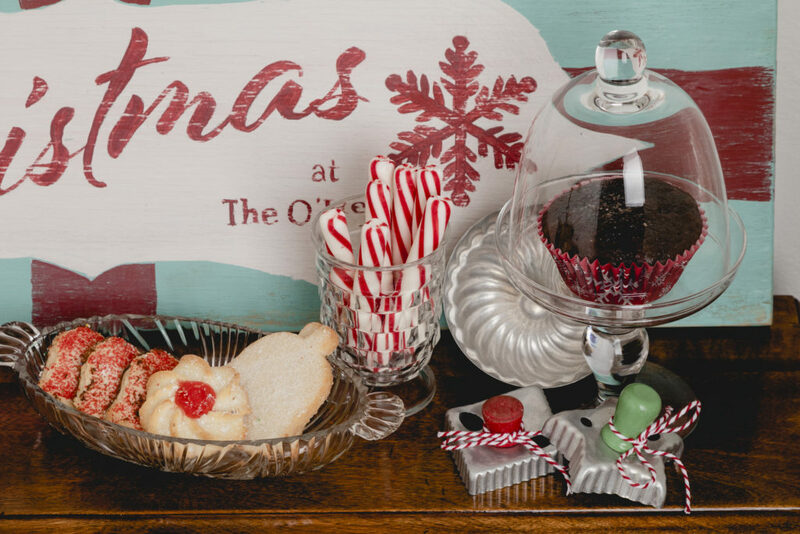 Your holiday guests will love to enjoy a cup of cheer! I only paid $30 for the bar cart, but it needed work. With just some glue and paint it was ready to greet me this holiday. The groovy ice buckets were vintage finds too. The pom pom garland I made in just a few minutes using a pom pom maker. The vintage toolbox inspired wooden tote is perfect for holding bottles. See how to make one HERE. The footed dish that I used to hold garnishes is a part of a Scottish antique dresser set. And the bottle opener was a gift from our neighbor, Dan Miller. He purchased it from a blacksmith at a market while he was in Prague this past summer. 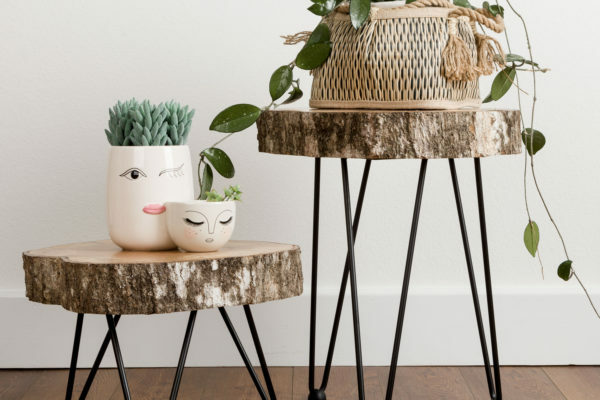 It is a one-of-a-kind design handmade by a true artisan. 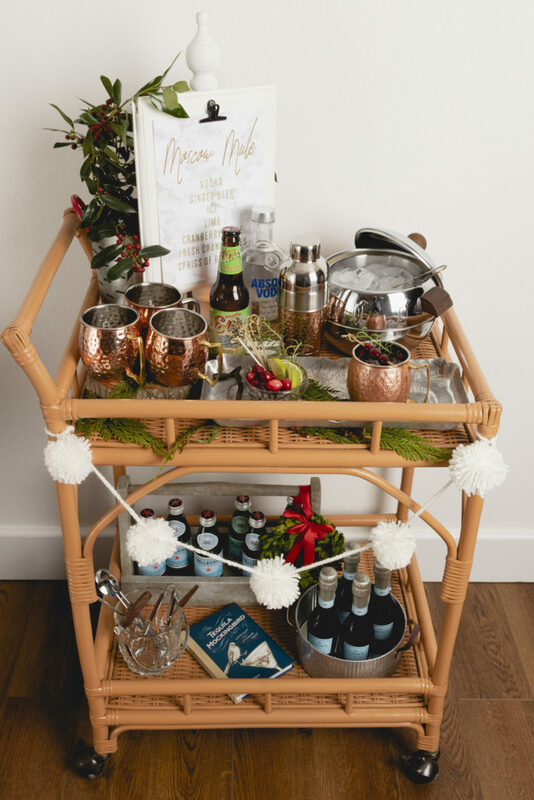 It was a nice surprise and also a great addition to my eclectic bar cart. 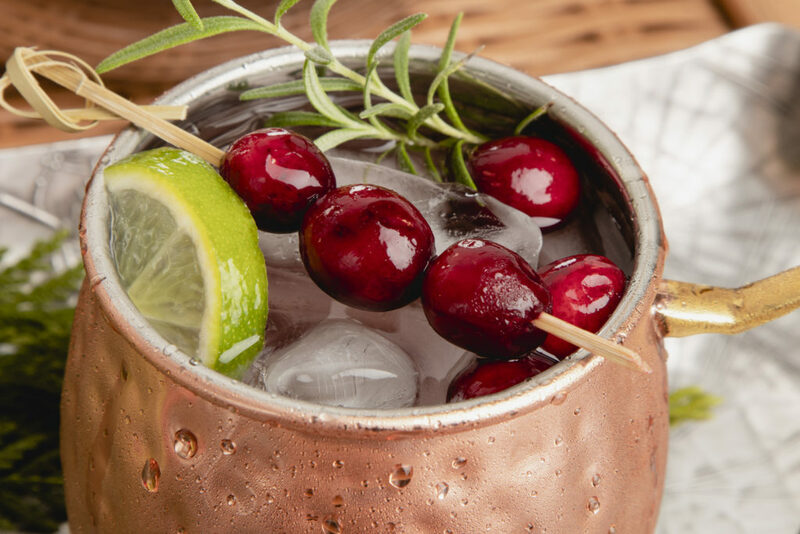 This photo shows how delicious these cocktails will look when you are serving them to your guests. They are easy to make as well. Bottled water is a basic element for any bar cart, so for that reason I included it, but I like the bubbly stuff, so that is what I added. 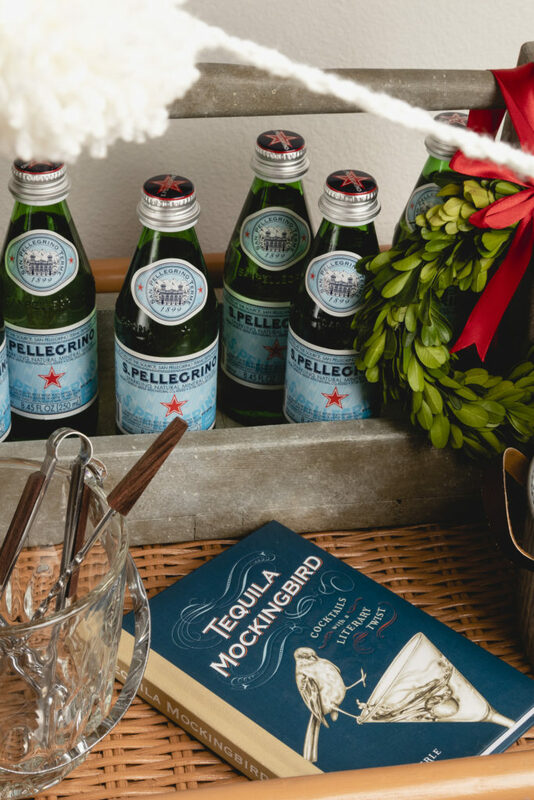 Tequila Mockingbird is a great gift for a book lover who enjoys a good cocktail and a good laugh. 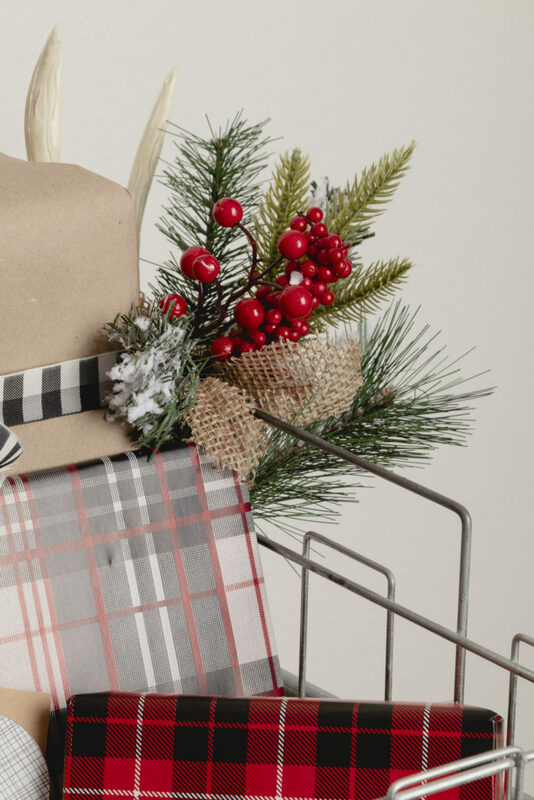 No holiday decor is complete without a wreath. Therefore, I added a pretty boxwood wreath with a red bow. Additionally, I added fresh holly that I cut from a bush in my yard. 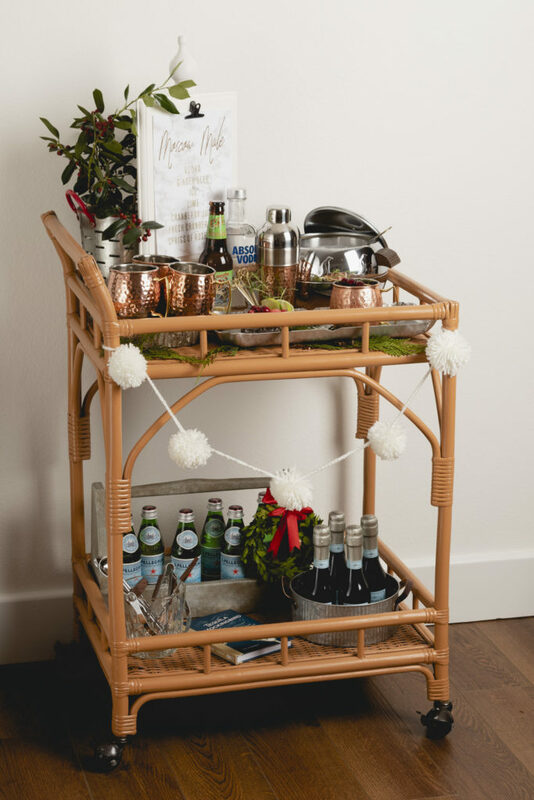 I purchased very little for the Holiday Bar Cart. I like to upcycle and remix items to use all year. 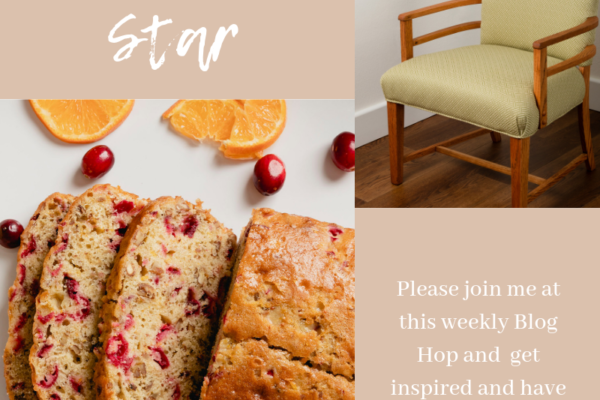 The Holiday Home Tour continues to the next two bloggers’ posts. You do not want to miss their tours since they are both unique and inspiring. Next stop on the tour is Southern Yankee DIY by my friend Lia. 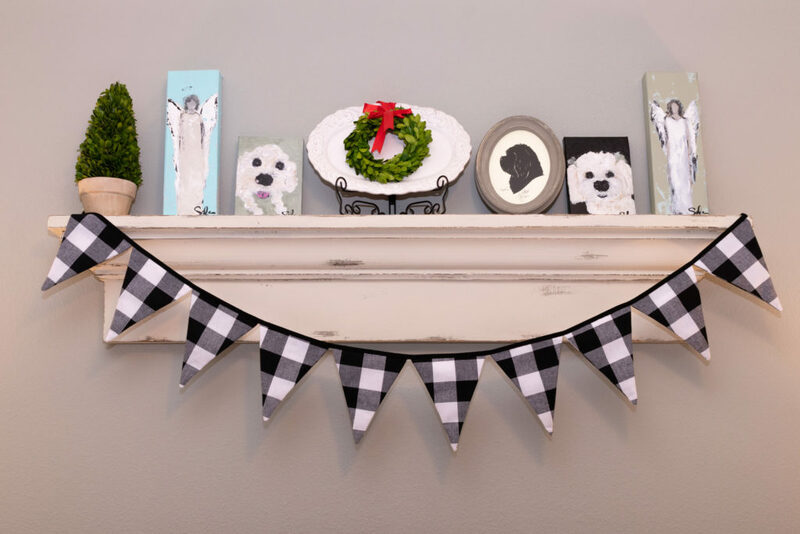 She has a lovely home filled with holiday decor such as: gingerbread houses, beautiful scroll from her Mother, and so much you are going to love. Then, the tour continues with my friend Denise’s home. 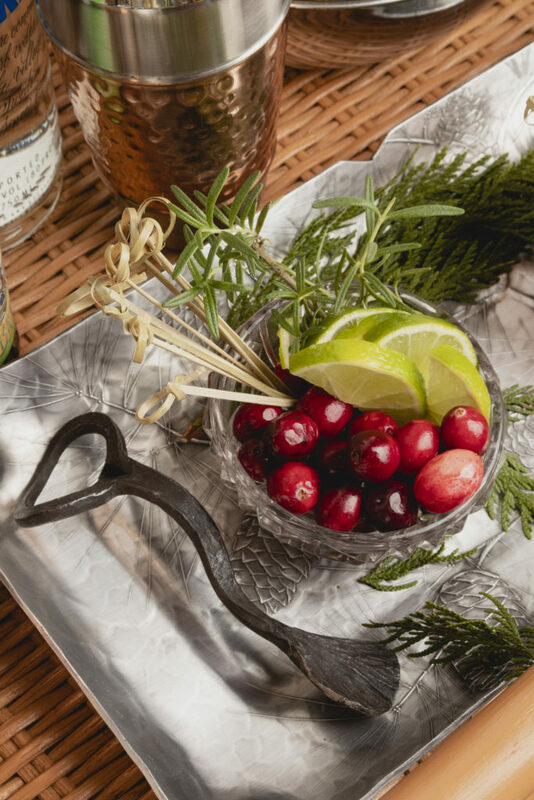 On her blog, Swellegant Life, she make our mouths water with elegant with craft cocktails and gourmet party fare. You will not believe her beautiful desserts. Bon appetit! Thank you for taking this tour with us. I hope you have enjoyed it and have a great week. 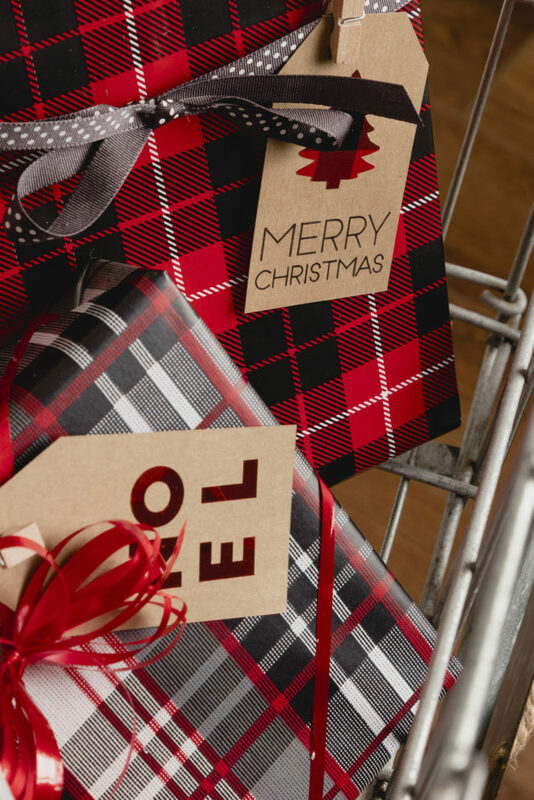 Leave in the comments below to let me know what you are doing this week to get ready for Christmas. 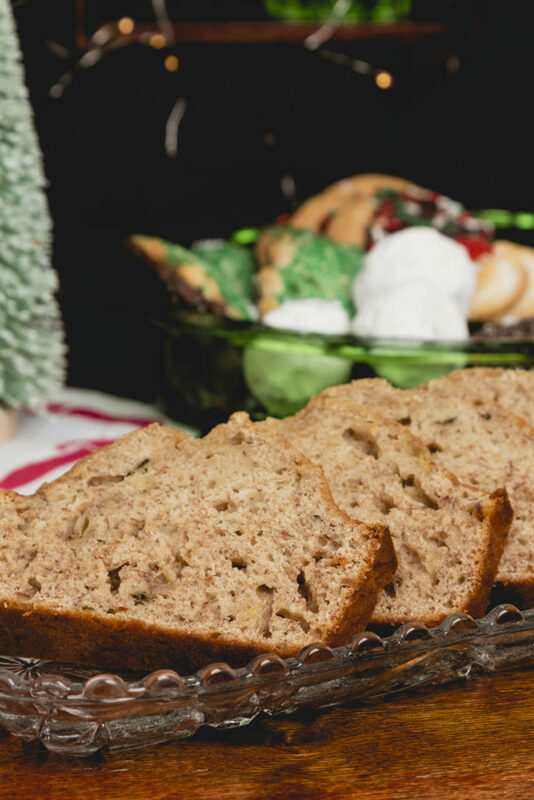 Have you planned Christmas morning’s breakfast?